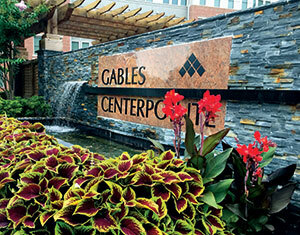 After Greenscape, historically a landscape construction company, balanced its business with recurring maintenance and snow revenue post-Great Recession, company leaders set their sights on standardization. The company, owned by brothers Joe and Jon Ciffolillo, is prospering thanks in part to its Green Way training program, which launched last summer. Tell us about the Green Way training program. We were growing quickly on the maintenance side—from about a $3 million operation eight or nine years ago into a $13 million maintenance operation. At the beginning, it was easy to keep things tight and close, and you could see what everybody was doing and what the service lines were. As we expanded into more managers and more branch locations and spread out geographically, it quickly became apparent it was hard to control and create consistency from manager to manager, crew to crew, branch to branch. It was time to step back and say, “How does Greenscape do a service? How do we document it? How do we communicate scope of work to our crews? How do we show them what’s an example of a good job and what’s an example of a bad job?” We took the time to create the Green Way program. It’s service standards and requirements for all the landscape maintenance services Greenscape sells to our clients—everything from spring cleanup, to how to plant a shrub, to how to plant annuals, to how to do a weekly maintenance visit. It is a one-page sheet per service. It starts off with the scope of work for that service. A spring cleanup would have exactly what the client is expecting on the sheet. Then it lists what’s included, what’s not included and the steps we recommend the crews follow to complete that service. There might be photos, a map of how to sequence through a property and safety concerns when performing that service. The Green Way program details maintenance tasks, such as planting annuals. From crew to crew, from branch to branch, from manager to manager, we have those services defined, so we can build consistency. It also gives us a guideline to evaluate a crew on how they’re performing, so one manager doesn’t have a different level of expectations for one crew versus another crew. When we go out and perform site audits, we have a site audit scorecard, and it ties right back in with the Green Way sheet. So far, it’s been great. We’ve definitely taught some old dogs new tricks and defined things. People come from different backgrounds or different companies. So, some people are just used to doing things a certain way, and we’ve had to do some retraining. We do weekly training on one of the Green Way sheets. The guys have them all in a binder that the foremen carry with them. Overall, it was extremely well-received. I think guys want the training. They want to know if they’re doing a good job, and they want clear instruction on how to do the job. Did some guys grumble about it? Of course. But overall, they want to perform well. If we’re giving them clear instruction on how to perform and then we’re holding them to it and helping them to perform it, they’re always receptive to those things. It’s also been a nice marketing tool. It comes up quite a bit in sales opportunities, especially when (clients) cross multiple locations and multiple branches. A big concern from clients is, “How do you instill consistency and how do you instill quality from crew to crew and branch to branch, so I know that I’m getting the same service here that I’m getting over there?” Customers have been very interested in the program and very supportive of it. So far, so good. Are you concerned this program will go into a binder and forgotten about? Absolutely. We come up with great ideas all the time and then we move onto the next great idea. Then, you realize the idea you had three ideas ago isn’t being used anymore. That’s where our audit system comes in. We have a quality audit tracking that account managers and branch managers perform when they’re on sites. They’re all charged with performing five audits a week. We handle it on our iPhones (via BossLM’s app). We make sure the audits are being performed, and the audits are based on the service criteria that’s in the Green Way. Without that check, it would end up not being used regularly. Between the audits and the training repetition, it’s in front of them constantly. Greenscape Land Design, Middleborough, Mass.